Scientists estimate that the the total amount of plastic product that has entered the ocean is in the range of 5.25 trillion pieces. Instead of going after all that plastic—which would take many thousands of years and billions of dollars to collect—The Ocean Cleanup uses long, ingeniously designed floating barriers to let the ocean currents concentrate the plastic itself. 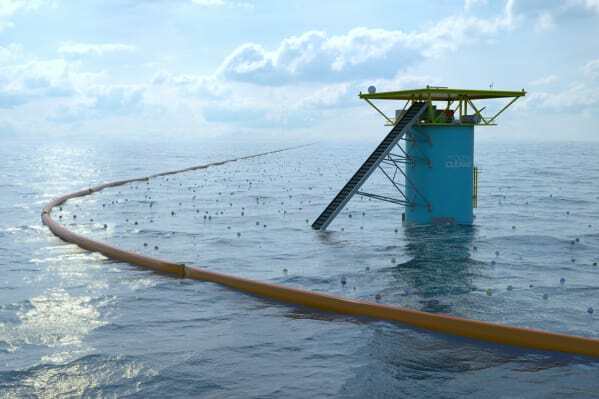 Its first trial in the open ocean has revealed some problems, but creator Boyan Slat is confident a few simple fixes can get it back on track.